Do you want to be happier? Do you have ideas on what could make you happier, but are unable to start doing them? Do you feel like you are in a rut? If you focus on what you truly want, you can create new habits that you do automatically. Habits are behaviors we repeat over time. You are responsible for your behaviors and for your habits. Think about it. Be very conscious that you are personally empowered to establish new habits. Habits are created by doing the same thing over and over again; repetition is very powerful. Create a specific, achievable and measurable goal (the standard stuff) and make your goal positive and personal. A positive goal states what you want versus what you do not want. A personal goal is unique to you, where you are today. It is non-conflicting and reasonable/achievable for you. Let’s say you want to manifest the habit of drinking a certain volume of water each day. We’ll start with the standard 64 ounces of water per day concept. If something inside of you believes that 64 ounces of water is too much, then you have a conflict with your goal and you are setting yourself up for failure. If you drink 32 ounces of water per day, 64 ounces is a real stretch and likely unreasonable. For you, for now, this goal does not pass your personal test. You could see how 40 ounces feels for you. A stretch is good; too much of a stretch is not good. As a bonus, add how you want to feel as you focus on your goal! To manifest a new habit, or change your behavior, you need to practice the new habit over a period of time. Even if you learn and adapt very quickly, practicing over a period of time will allow you to master the habit. Some experts say that it takes between 21-45 days to change a habit; others say 30-45 days. I split the difference and suggest a 33-day process. Specifically, practice and experience the new habit for 33 consecutive days. If you miss a day, start the 33-day process again. 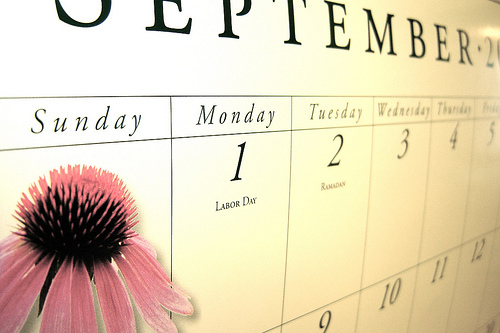 Step #2: Take out your calendar every night and put a mark, such as a star, on each day you achieve your goal. If you miss a day, then start the 33 consecutive day process again. P.S. Feel free to extend, or repeat, your 33-day process. I often do.